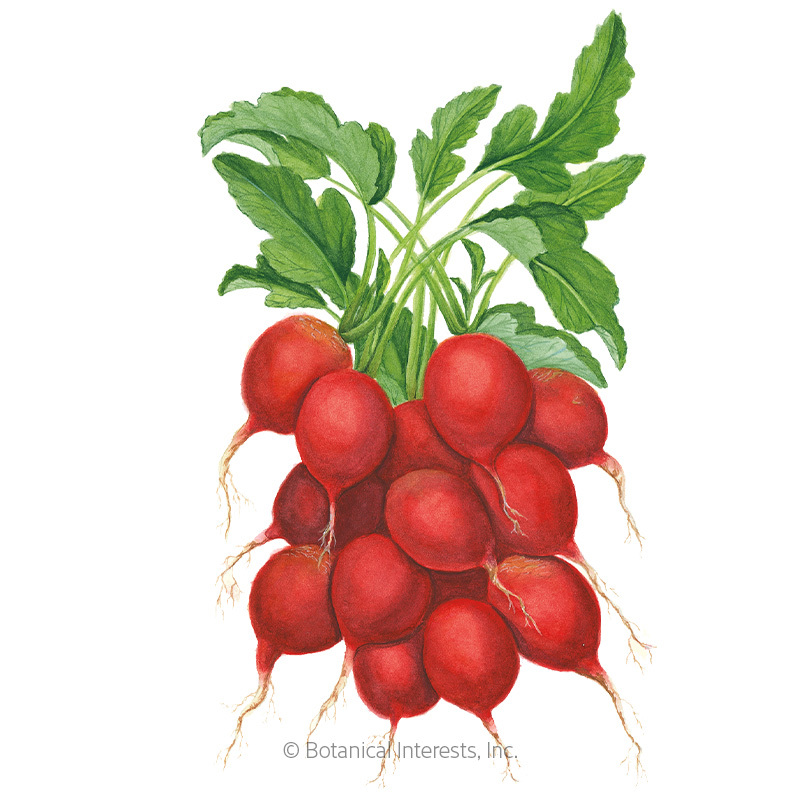 Small and sometimes spicy, spring radishes are one of the first frost-tolerant crops to be harvested. 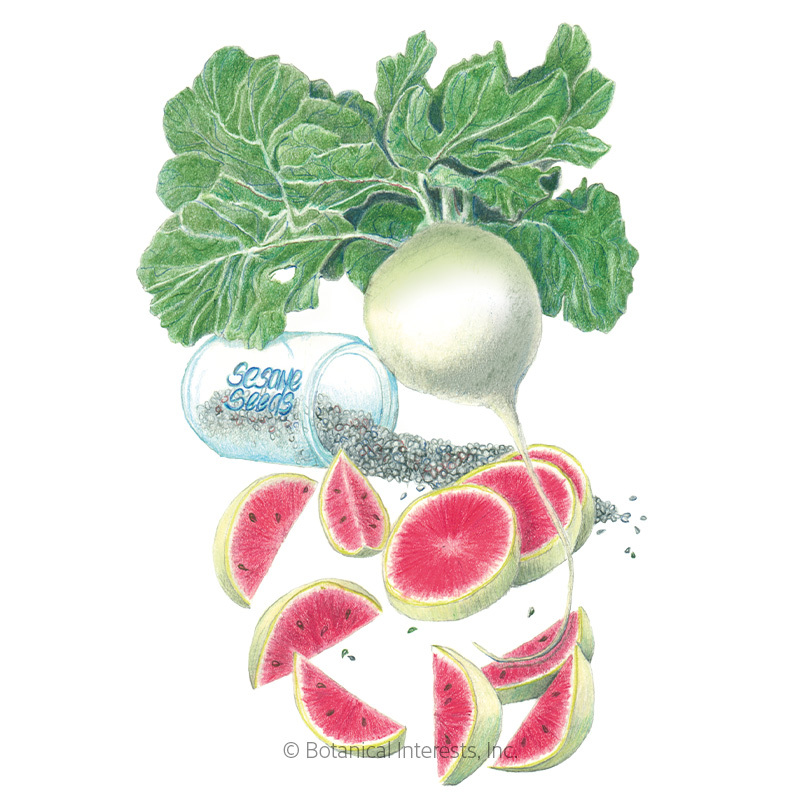 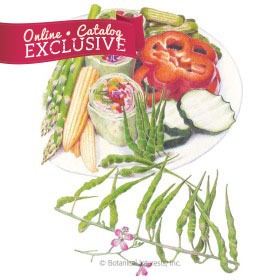 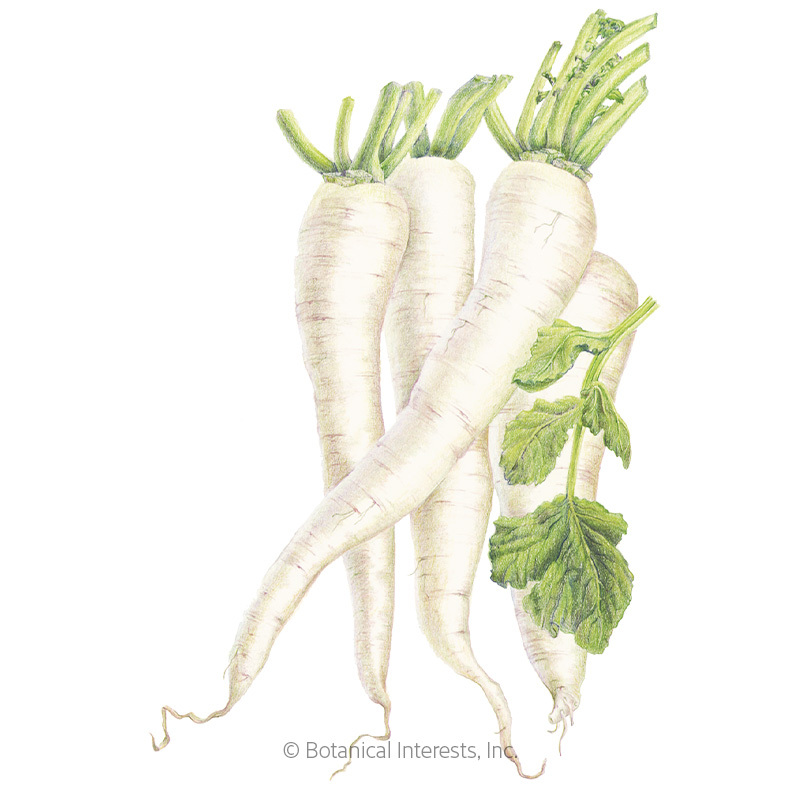 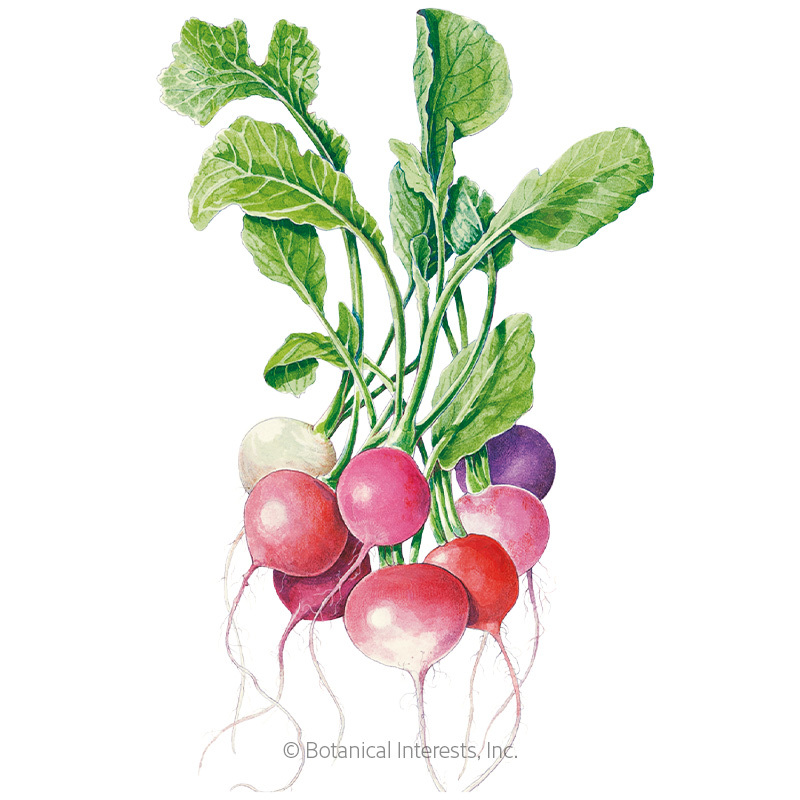 Radishes can be divided into two groups: the spring/summer type, which grow best in the cool weather of spring through early summer and fall, and the winter type, which require shortening day length to trigger root growth and are sown in mid-late summer for fall harvest and storage. 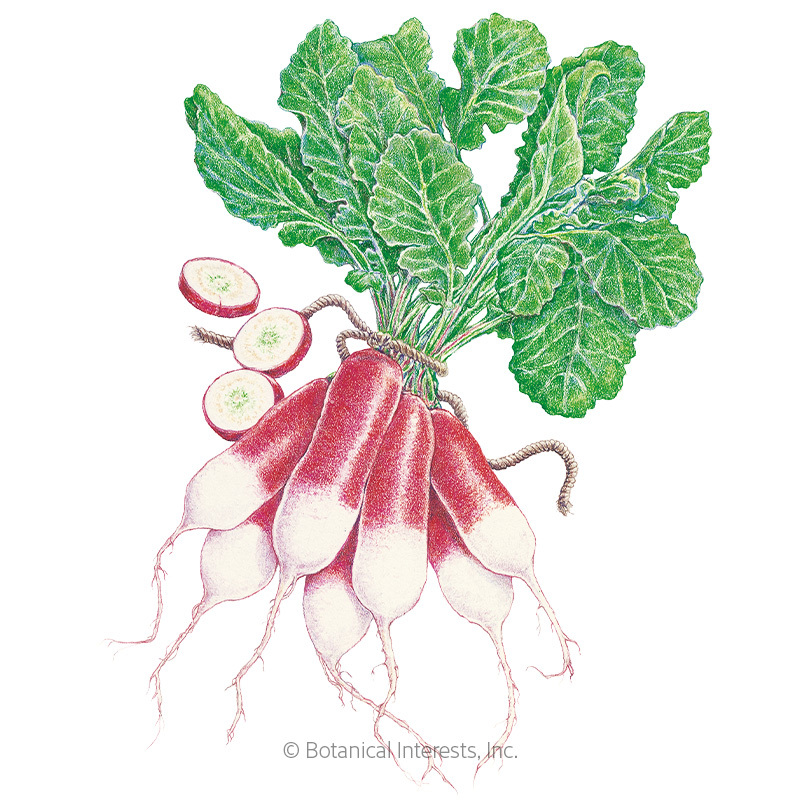 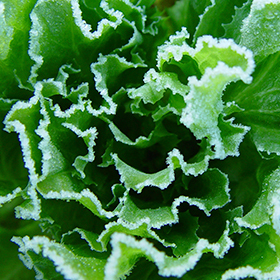 In mild climates, radishes can be grown in fall and winter to take advantage of the cool growing temperatures. 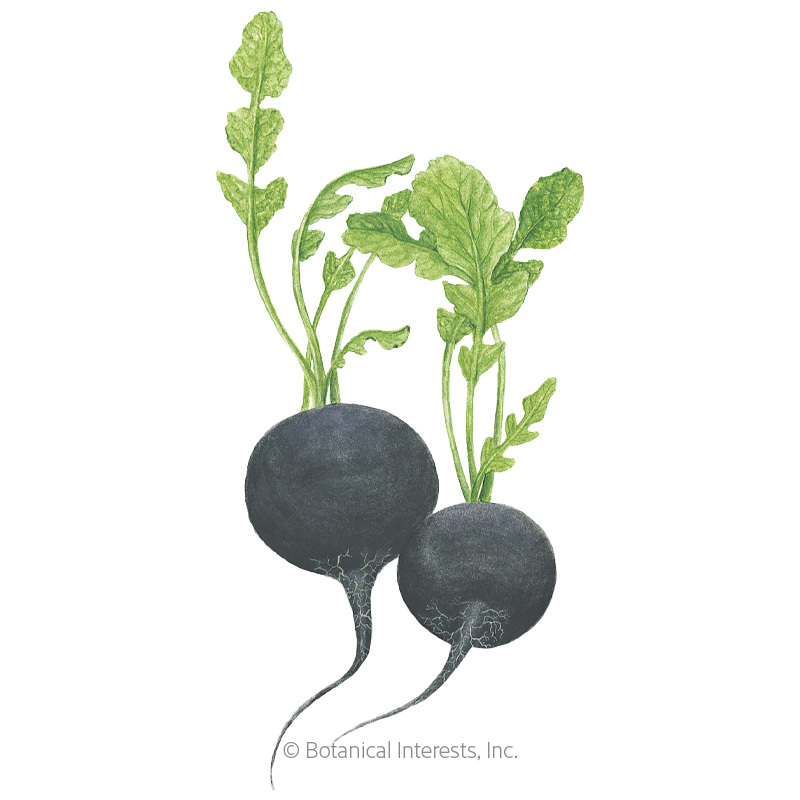 Try sowing spring/summer radishes in rows beside other crops because as radishes germinate quickly, it will remind you to water the other seeds still unseen. 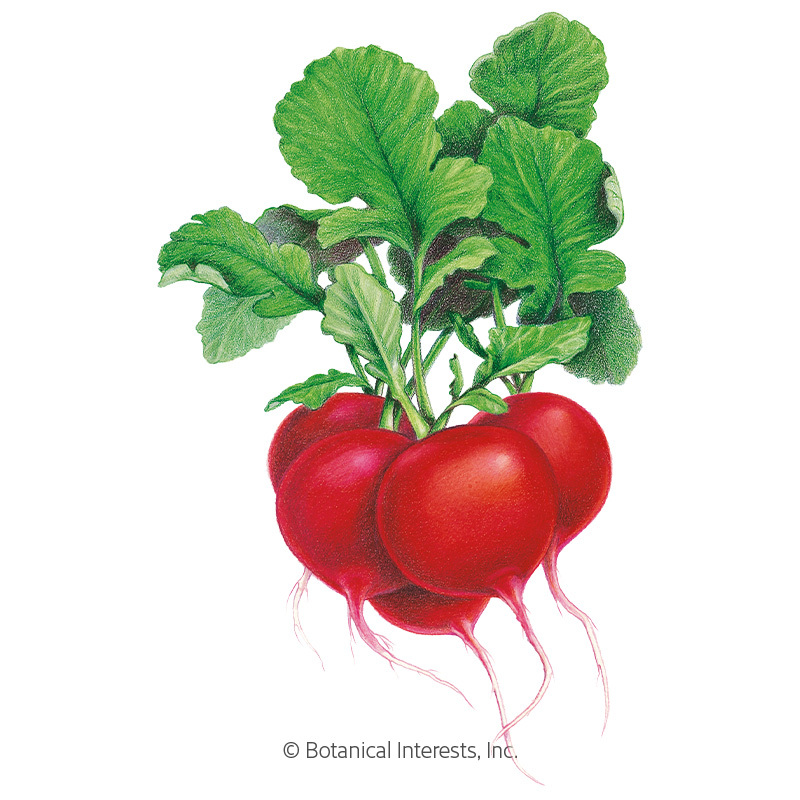 Don't forget—the tops are edible too!